Suzuki’s all-around favourite hatchback Swift have been able to set plenty of records across the world, justifying its crazy fan base. 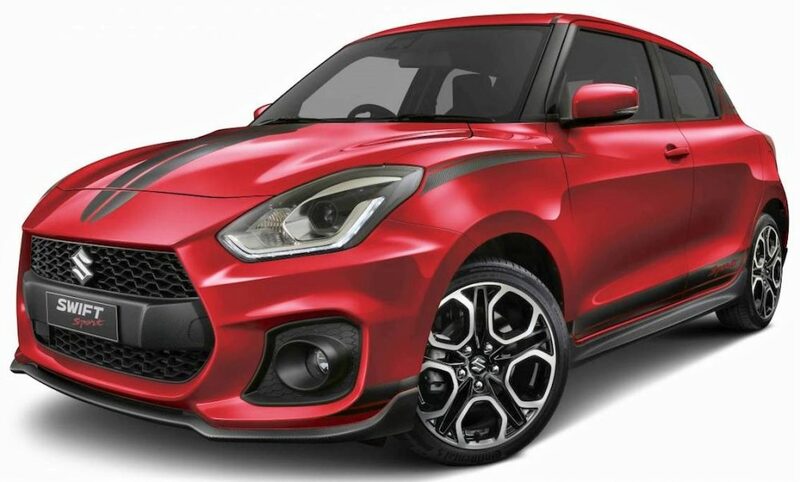 The innovations to the hatchback are not going to stop anytime soon since the limited-run Suzuki Swift Sport BeeRacing was introduced in Europe earlier this year and now Australia becomes the first to get its limited edition Suzuki Swift Sport Red Devil. The hatchback has received a plethora of cosmetic advancements and judging from the images, it looks quite sharp. The dealerships will get the limited edition model in the coming month and they are only limited to 100 units. 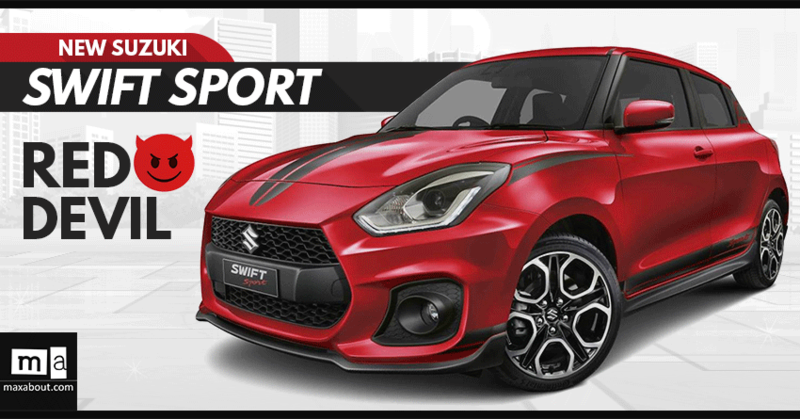 Suzuki Swift Sport Red Devil will be available at a price tag of AUD 29,156 (INR 14.78 Lakh) with the standard 6-speed manual transmission and AUD 31,156 (INR 15.81 Lakh) with automatic transmission. The car remains mechanically same as compared to the Swift Sport Edition. It is powered by K14C 1.4-litre Boosterjet, turbocharged, four-cylinder, petrol engine that produces a maximum power of 103 kW (140 PS) at 5,500 rpm and an utmost torque of 230 Nm of torque at 2,500-3,000 rpm. The engine is mated to a 6-speed manual as well as automatic transmission. It is known to reach a top speed of 100 kmph in just 7.39 seconds with its manual transmission. The Burning Red colour of the car speak volumes for its edgy exterior and the unique carbon styled decals on the bonnet, bumper, doors and C-pillars looks extravagant. The all-new Suzuki Swift Sport Red Devil doesn’t get much changes in the interior. 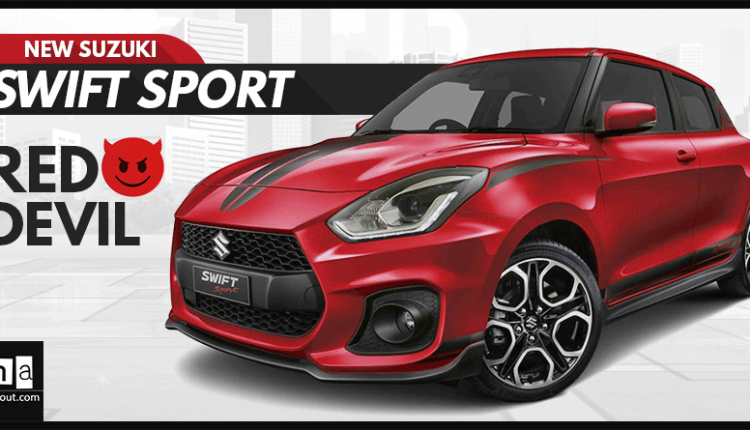 As per the rumors, Maruti is also planning to launch the all-new Swift Sport hatchback in India by the end of this year or early next year. After the official launch, Maruti Suzuki might also launch the BeeRacing and Red Devil limited editions in India.